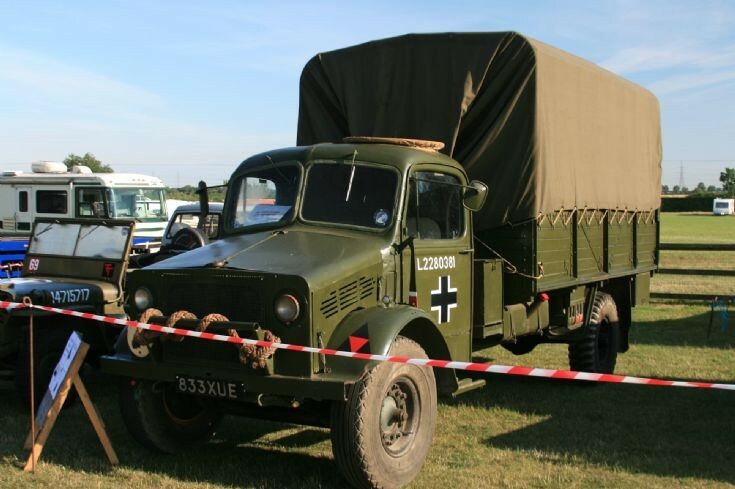 Saw this British truck with German markings at a show in Winterton,N.Lincs.24/07/2010. The info board stated that,during the German advance into Greece in WW2 it was common for captured vehicles to be repaired and reused. Not sure of the make and type. looks like a Bedford, 30 cwt class. It was common throughout the war for both sides to use captured vehicles. The Germans especially used captured transport as, contrary to popular belief, they were not totally mechanised. Added by Roger Greenaway on 25 July 2010.